iRealHousewives | The 411 On American + International Real Housewives: The Real Housewives Of Orange County Season 14 Starts Filming Next Week! 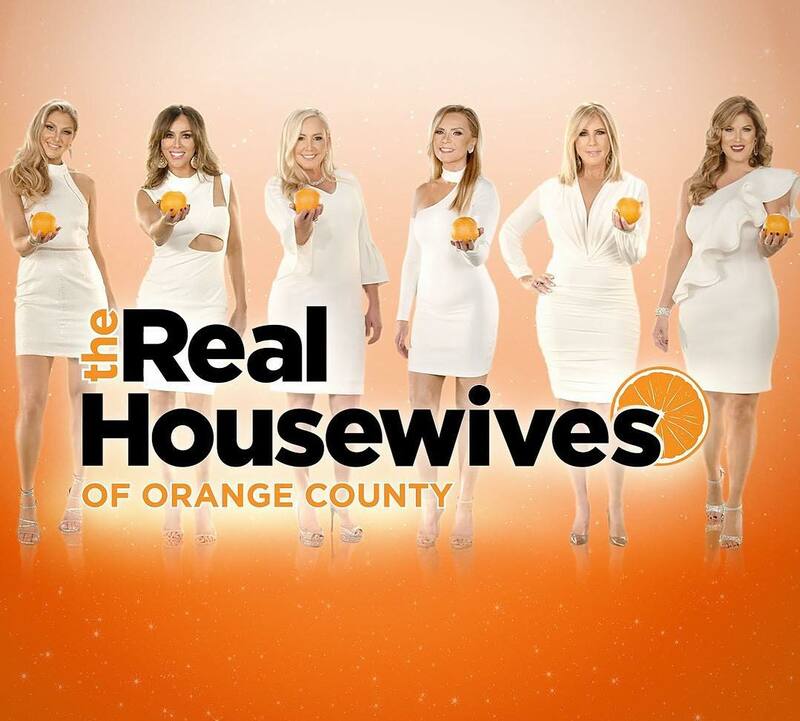 The cast of The Real Housewives of Orange County is set to start filming for the show's upcoming fourteenth season next week. It's been revealed that all six cast members Emily Simpson, Gina Kirschenheiter, Kelly Dodd, Shannon Beador, Tamra Judge and Vicki Gunvalson are all returning, according to Page Six. 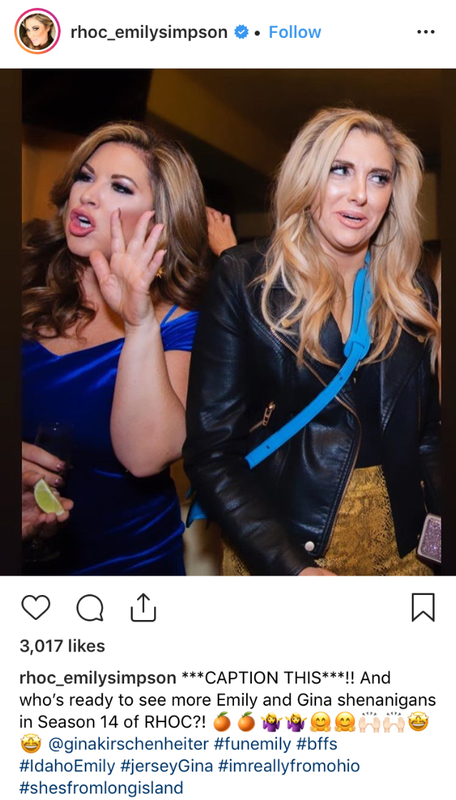 This week, Simpson and Kirschenheiter confirmed their RHOC return via their social media pages. "Gearing up for filming which also means I’ve been shopping !!!! ❤️❤️ 😉😉😉 and trying out some different fun glam looks. Pick up this look from my fav boutique @calliegirlboutique," she shared on Instagram, adding the hashtags: "#headtotoe @andrea.harbison.hair @ehm.murph.hair #hairwizards #rhoc #herewegoagain #freshstart #livingmybestlife #funinla #rhoc14 #squadgoals"
Also, Gina's co-star and Emily also teased about their return to the Bravo hit reality series. "***CAPTION THIS***! !," Simpson shared a photo of her with Kirschenheiter. "Who's ready to see more Emily and Gina shenanigans in Season 14 of RHOC?!" 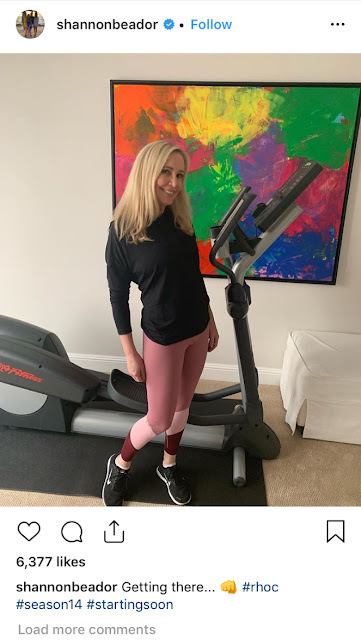 Adding the hashtags: #funemily #bffs #IdahoEmily #jerseyGina #imreallyfromohio #shesfromlongisland"
Just last week, Shannon Beador and Vicki Gunvalson teased fans via their social media pages that they will be returning to the Bravo hit reality series. Beador, who showed off her incredible weight loss transformation with her fans via Instagram, unveiling her new figure along with the caption, "Getting there... 👊," adding the hashtags "#rhoc #season14 #startingsoon"
Meanwhile, the OG of the OC also took to Instagram to tease her return to the Bravo hit reality series. 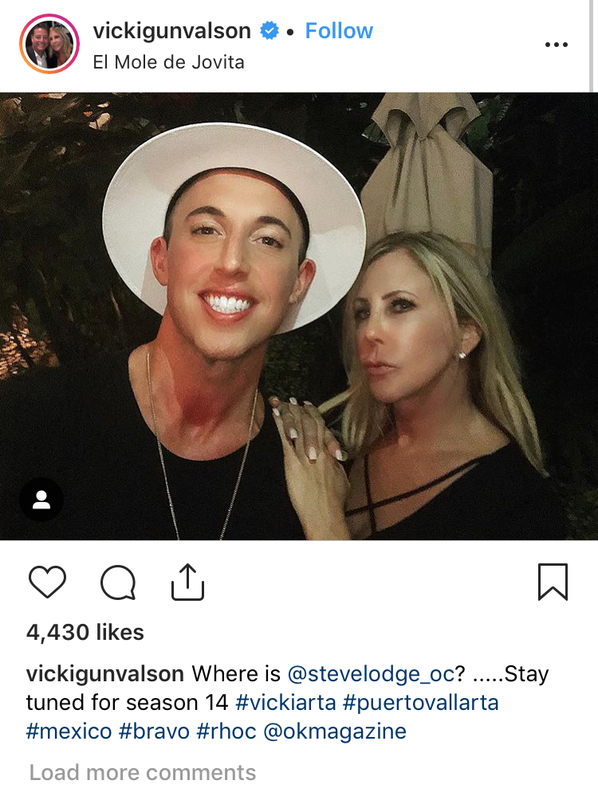 She shared a photo where she posed with a fan with the caption, "Where is @stevelodge_oc? 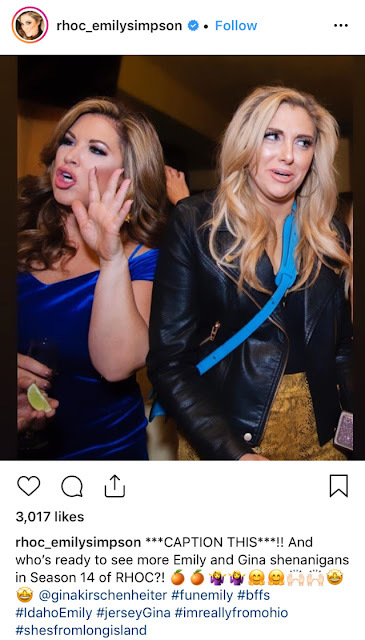 .....Stay tuned for season 14 #vickiarta #puertovallarta #mexico #bravo #rhoc @okmagazine"
During the Season 13 reunion special, Kelly Dodd threatened to quit the Bravo hit reality series after being accused of doing cocaine by co-star Vicki Gunvalson. But according to sources, Dodd is not leaving the Bravo hit reality series. “Kelly is appreciative of the fan base that the show has given her and she is also very grateful that it allows her to give back in terms of charity work, such as her work with the soup kitchen,” the source continued.